Happy Sunday! Hope we all have a chance to knit at least a few stitches today. And, if time permits, have a drink by the deck. These photos were taken at the 50% mark. I love Helen's pattern formats--where you can mark your progress and check your stitch count at any row. To get the pattern, all you have to do is sign up in her website. There is an ongoing knit along in her Ravelry group. Malabrigo Sock yarn is very pleasant to work with. And, look at those colors of "Indiecita"!! ooh i have that yarn too... soooooo soft and beautiful colours. your project is gorgeous! What project do you plan to use it for? 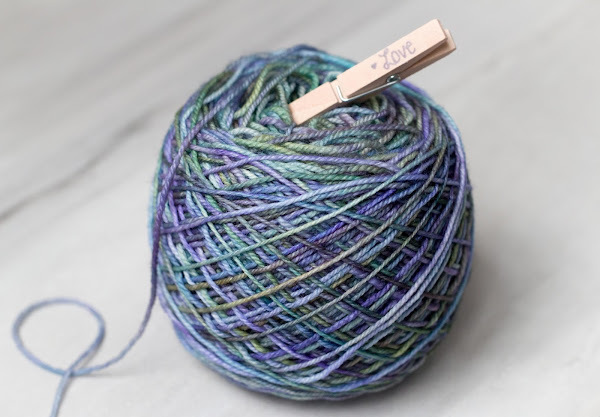 I would love to buy another skein in a different color way. Perhaps we can do a KAL...with no ending date :-) Have a great week, Sam. This is lovely so far Monica. Really lovely! So nice to read you here, Nicky. Thanks so much! That yarn colourway is so pretty. I really enjoy knitting Helen Stewart's patterns too. I wonder why more designers don't write their patterns the same way. The yarn is beautiful! The stitch count is definitely something I'd enjoy seeing in all patterns. Seems practical too if you are a little tight on the yardage! Very practical...I don't like to play yarn chicken. I never win. Take care and have a great week, Maryse! I've previously made one of her patterns and also loved that is gives you a percentage of how far along the project is! 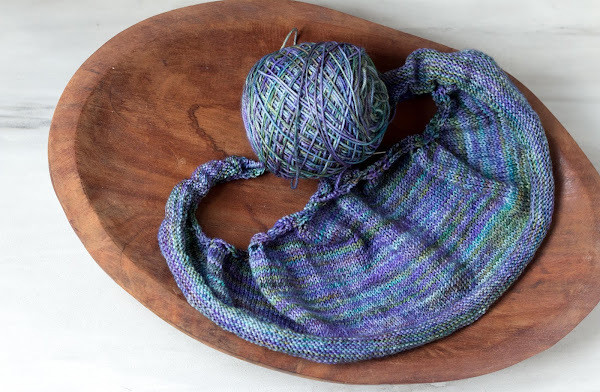 Really love the way that Malabrigo is knitting up. Yay...I just checked out your Pebble Beach Shawls in Ravelry. I love that pattern; must add to my library soon :-). Thanks for your note, Tahnee--always appreciate reading you! 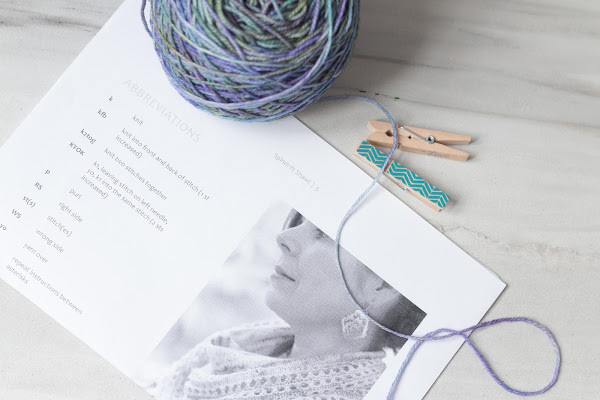 That yarn is really beautiful! I love how the shawl is knitting up.